Half Marathon #4 in the bag! This time, instead of running, I walked the 1/2 marathon with two friends of mine as a benefit for the charity Action for Healthy Kids, whose mission is to promote healthy lifestyles in school-age children. The great thing about walking the route was that the focus was less on the finish line, and more on enjoying the company of my friends while helping out a great charity. A change of ‘pace’ can be a wonderful thing. Thanks, Nora! 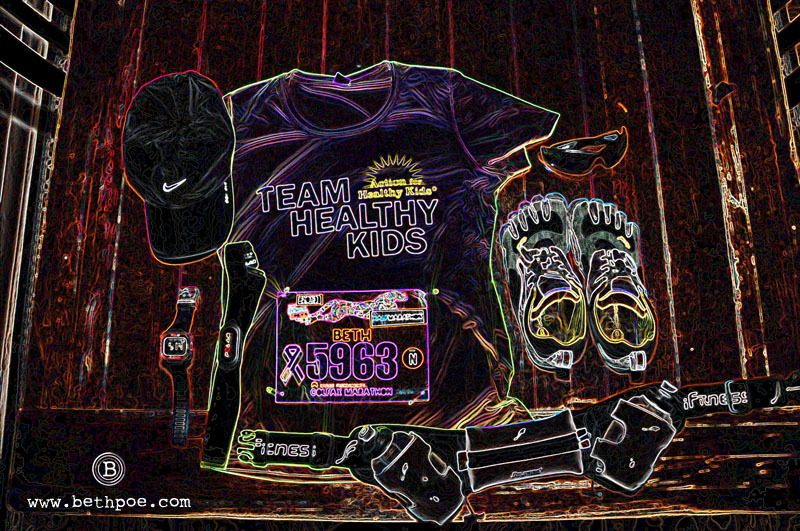 I felt I needed to edit this photo to look a little different from the one I took for my last 1/2 marathon on April 7th, so I chose the Glowing Edge filter in PS. It’s was an easy edit, which was the perfect solution for a busy day :-).